This article is about black holes. Black holes are enormous dead stars. Colossal black holes are mostly found at the centre of galaxies. 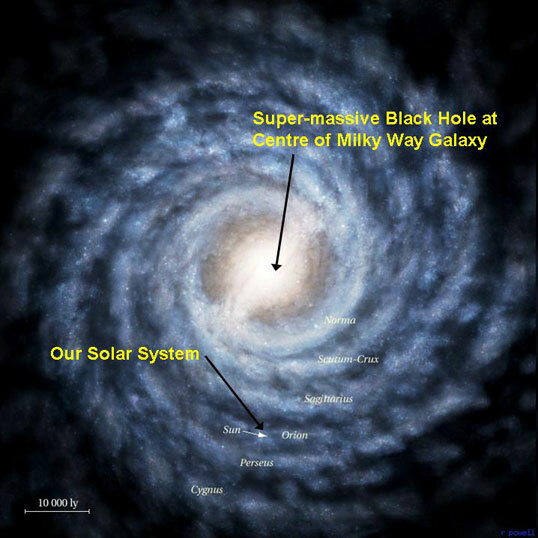 Our galaxy the Milky Way has its own black hole at the centre. If I was to attempt to walk in to a black hole I would be stretched like a rubber band. Because a black hole has so much force and that a body will be stretched by the amount of force pulling the lower part of the body away from the higher part of the body.